Ryan Betts, Cloud Solutions Architect: Certain Users unable to connect via iPhone's to Exchange 2010: "An exception occurred and was handled by Exchange ActiveSync. This may have been caused by an outdated or corrupted Exchange ActiveSync device partnership." 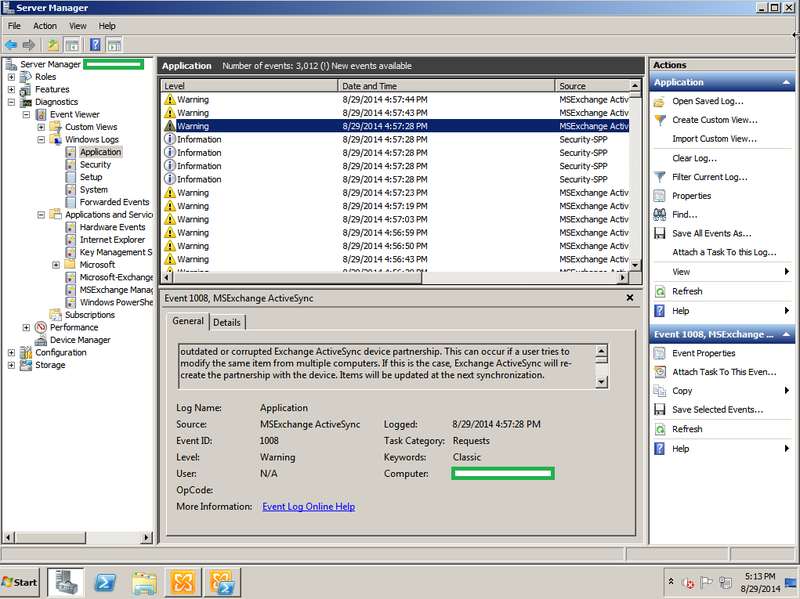 Certain Users unable to connect via iPhone's to Exchange 2010: "An exception occurred and was handled by Exchange ActiveSync. This may have been caused by an outdated or corrupted Exchange ActiveSync device partnership." 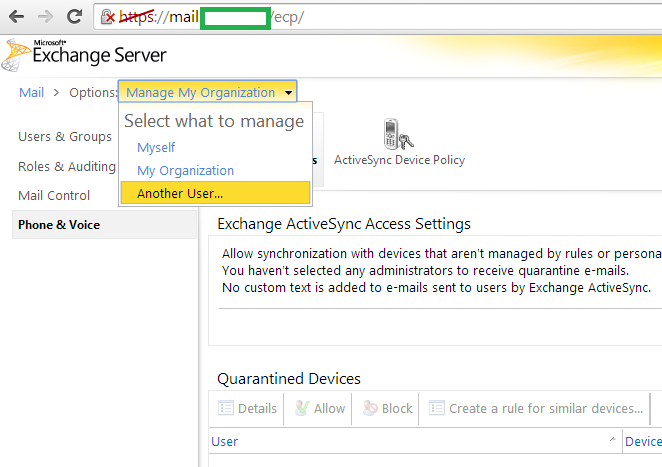 You have a number of users complaining they cannot connect to Exchange ActiveSync using their iPhone/iPad. The standard, remove the account and re-add it trick does not resolve the issue. ActiveSync also appears to be working correctly for everyone else. On investigation of the issue in the Windows Logs\Application there is a Warning related to Exchange "An exception occurred and was handled by Exchange ActiveSync. This may have been caused by an outdated or corrupted Exchange ActiveSync device partnership." This did not reference the problematic user. 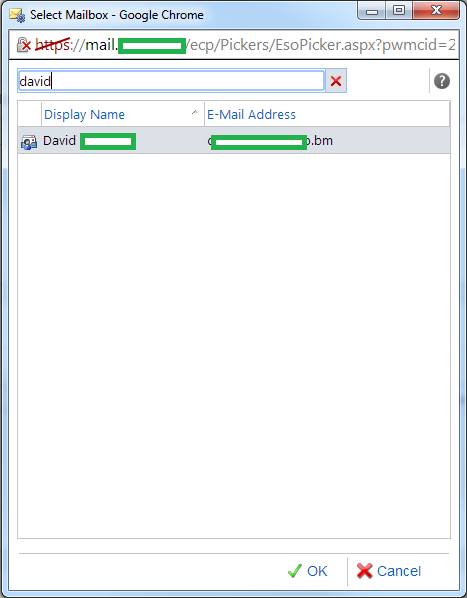 This will display all of the users that have an associated ActiveSync device to their Exchange account. The user that was having problems had two entries. Try the username of the problematic user, and click OK.
You then click on Phone and Mobile Phones from the left hand side menu. As you can see there is two entries for the iPhone. I selected them both and used the X button to delete the entries. It will ask you to confirm if you would like to remove the device, click Yes. Please note this will not Wipe the device. On the problematic iPhone I then tried to re-add the Exchange account and it worked correctly.